It’s Christmas time, a wonderful time of year, right? That’s laughable. If you’re over the age of 18 and have a job, or school, or both, you have little time for yourself. Of course, being an adult, that isn’t much different from the rest of the year. But during the holidays work gets crazy, school has more deadlines, and there’s the added stressor of “what do I buy my family for Christmas” or my personal favorite “how the hell am I going to afford this? ?” Yeah, holidays can be stressful. 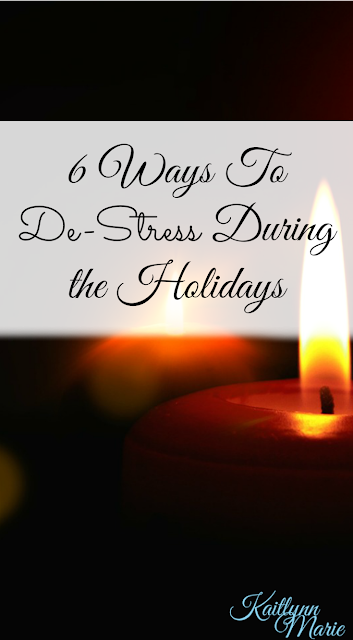 But here are my favorite ways to de-stress during the holidays. You have to find “me” time. I find that it’s hard to carve out some “me” time when everyone is running around during the holiday season. Most people work five days a week and have two days off, but those days are often used for appointments and errands. You find yourself with no time to just relax. I never want to spend multiple days doing nothing, but one day? Absolutely. Every once in a while I will make sure that I have nothing planned for one of my days off. Then I usually do my next favorite thing. Spend time with (family) my cat. Most people would want to spend some quality time with their families. I’m not most people. In fact, I spend time with my family on a fairly regular basis. Because I live with them, I see Penguin, Bug and Mishka daily. We typically have dinner together every night, and Penguin brings me to work most mornings. Because I spend so much time with my family as it is, on my days off I like to spend time with my cat. Lucy is my baby, my love bug, my little cuddle bear. I love her more than almost anything else. So when most people want to go home and spend time with their kids, their significant other, or their parents/siblings, I want to spend time with my cat. And it’s glorious. Catch up on your favorite show (or YouTuber!) I don’t have cable, haven’t for a while now. I don’t watch too many shows, but the ones I do watch are on Hulu. So I’ll watch those, or the ones I have full series’ of. This one show I watched when it originally aired, called South of Nowhere, was (still is?) my favorite show. I watched it religiously every week. Now, I have it saved on my computer and I watch it whenever I have time. But I also tend to catch up on my favorite YouTubers on my days off. Sometimes, the best way to de-stress is to watch people act like idiots online. Read a good book. I just finished Tyler Oakley’s Binge. Excellent book. It’s a memoir, and his life has been interesting. Read my review here. But if I don’t have a new book to read, my go-to would have to be Laurel K Hamilton’s Anita Blake Vampire Hunter series (which has 24 books and 5 novellas, and she’s finalizing the 25th book which is due to be released in June 2016). I’ve read each book at least three times. But whatever your favorite book, series, or genre, grab a book, curl up with your cat ;) and read. Treat yo’ self! I work in a spa, so obviously I have to say that you should treat yourself. Does that mean you should spend hundreds of dollars on a spa? No, of course not. But if you need a pedicure, manicure, or just want a massage? Go for it! I get pedicures as often as I can afford to (which isn’t nearly as often as I’d like). You can find cheap pedicures, but keep in mind that you get what you pay for and cheap isn’t always better. Penguin and I, and sometimes Bug, get pedicures together as often as we can. Listen to music. Okay, I’ll be real here; I listen to music all the time. 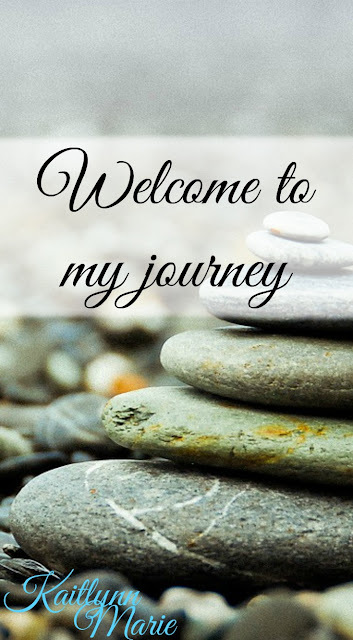 I listen to music while I’m reading, playing on the computer, working, walking, sleeping, whenever. I love music. Both of my tattoos are related to music (if you’re curious I have a small explanation of what they look like on my About page). But even though I love music and listen to it constantly, some music is better at calming and relaxing me. I have a playlist on my phone (and computer obvs) that is meant to relax me when I’m stressed or upset. 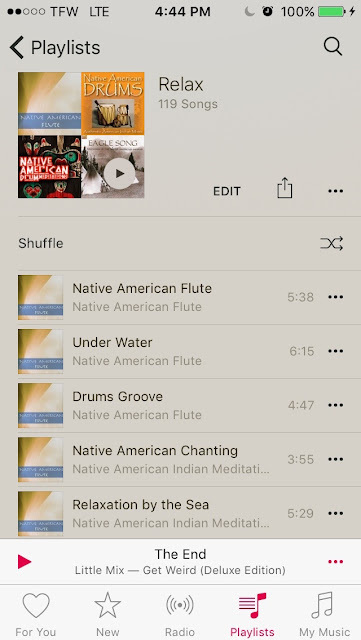 I’ll add a screenshot, and you’ll see that it’s filled with Native American music. That’s because the beat of the drum and the melodic voices of Native music is soothing and is the best way to have me relax. If you have iTunes you can get this playlist here. Those are my tips to de-stress. 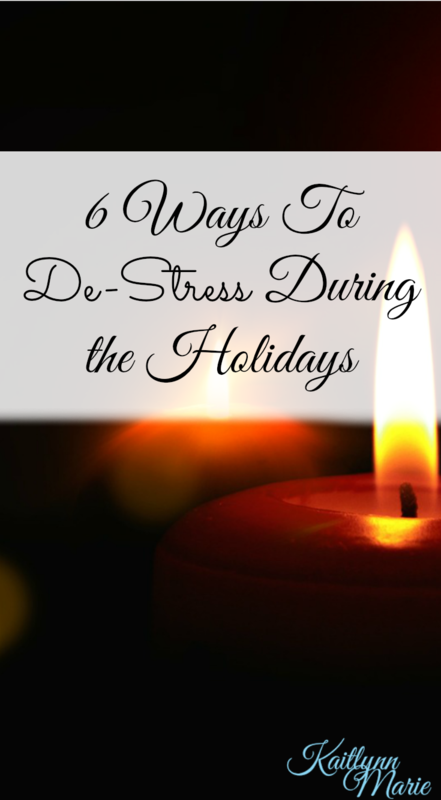 So if the holidays have you feeling crazy, take some time, follow one or more of my tips, and I guarantee you’ll de-stress in no time. What are your favorite ways to de-stress? Does it change during the holidays or no? Let me know in the comments below! I need a cat to spend time with please. I am so time poor at Christmas, I work until Christmas eve and then straight to see family. I'd love a day in between for some me time! 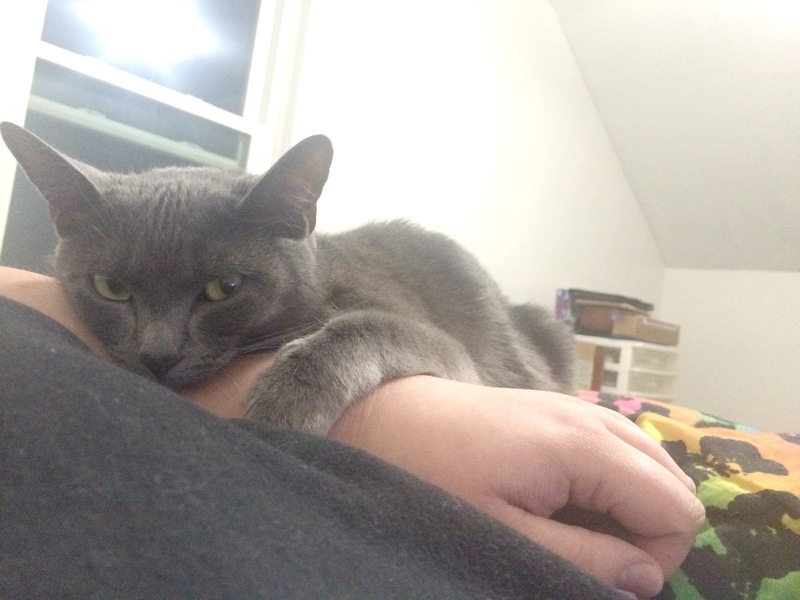 I don't know what I'd do without my kitty. She's like my child. I got lucky this year, I had Monday off, I have Thursday off, and my job is so easy. I love my job, I just wish I had more hours. Yes! I was super stressed when I wrote this, and it was the holiday season. But these are good tips all year round. Hope you have a great weekend!